The Quest for Statehood: Palestinians need not apply! The Palestinians will not be deterred from seeking UN membership, senior officials say in response to a report that the the US is trying to head off their bid. The New York Times reported on Sunday that the US has launched an attempt to persuade the Palestinians not to seek statehood at the annual UN General Assembly meeting beginning on September 20. “When it comes to going to the United Nations, I think the train has left the station,” Muhammad Shtayyeh, a member of Fatah’s central committee who is overseeing the UN bid, said on Sunday. The New York Times, citing US officials and foreign diplomats, said the US has tried to restart peace talks with the Israelis in a bid to convince Mahmoud Abbas, the Palestinian president and leader of Fatah, to drop the bid. The Obama administration has made it clear to Abbas that it will veto any request to the UN Security Council to make a Palestinian state a new member outright, the newspaper said. But the US does not have enough support to block a vote to elevate the status of the Palestinians’ nonvoting observer “entity” to that of a nonvoting observer state, according to the newspaper report. Palestinians expect “more than 150” of the 192 UN member countries to endorse full Palestinian membership. But this would fall short of the number needed to ratify an application, which must be approved by the Security Council. 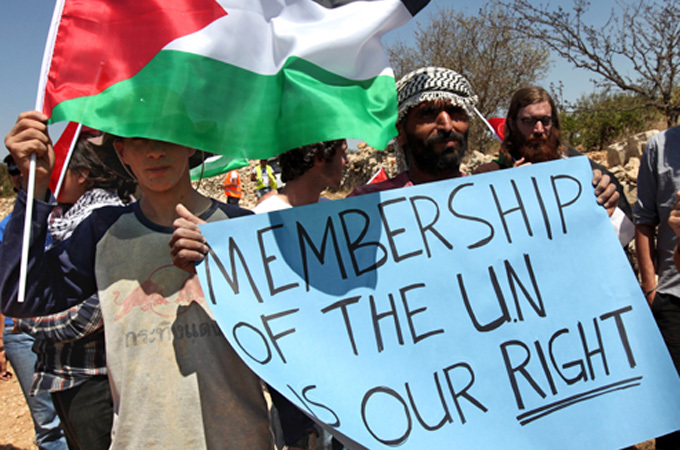 If approved by two-thirds of the General Assembly, it would allow the Palestinians for instance to gain full membership of UN agencies such as WHO, UNESCO or UNICEF. The US argues that the Palestinians will only achieve meaningful statehood through a revival of direct peace talks with Israel. Comment: The US never argued that “peace talks” would resolve the Sudan division and the south seeking independence. Nor did the U.S. argue that “peace talks” would ensure that Saddam Hussein and the Kuwaitis would be able to resolve their differences. 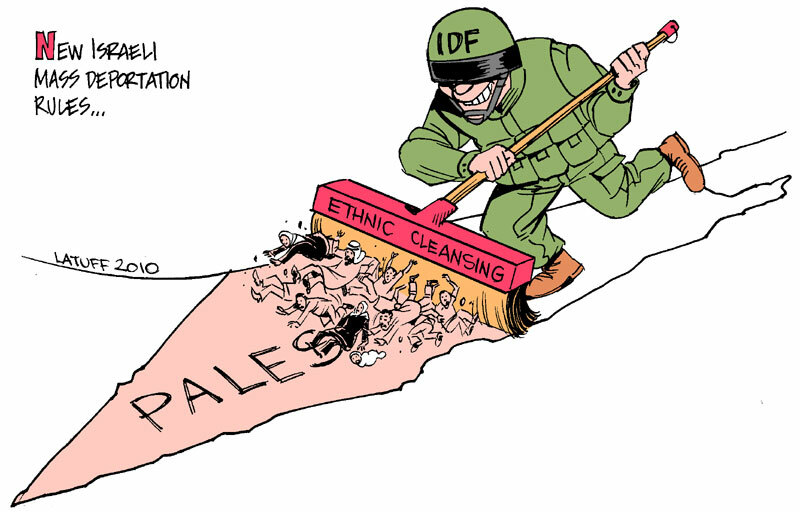 So what is it about the Palestinians? Are they the Children of a Lesser God? 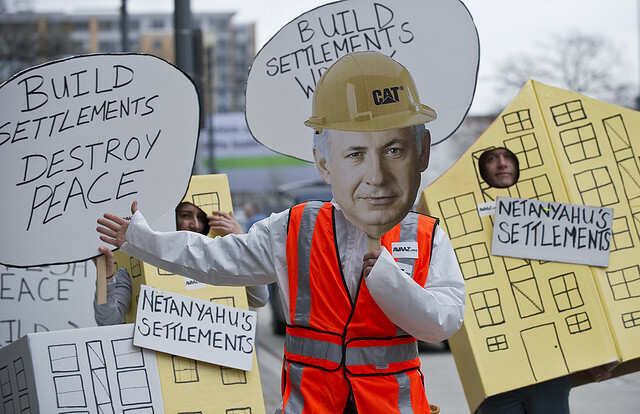 Israel’s negotiations tactics are clear: build more settlements and negotiate grabbing more Palestinian lands! 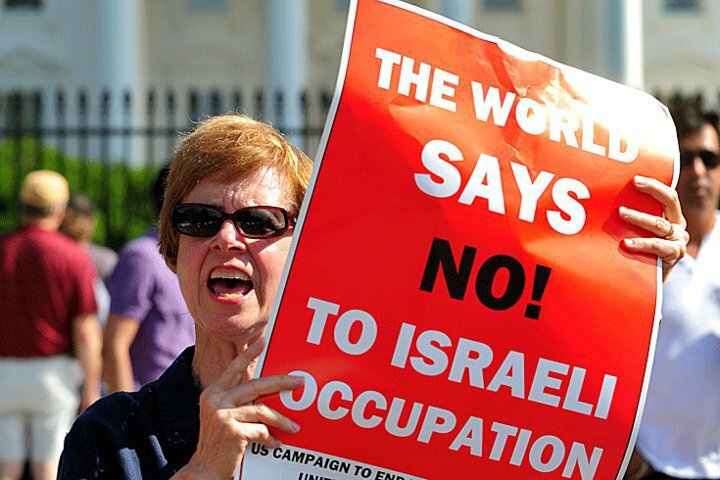 The New York Times said the US was labouring to find language that would be sufficient to lure the Palestinians away from their bid, bring Israel to the negotiating table and be acceptable to the other members of the peacemaking Quartet – the EU, UN and Russia. But Shtayyeh, the Fatah official, said the Palestinians had made every effort to negotiate. 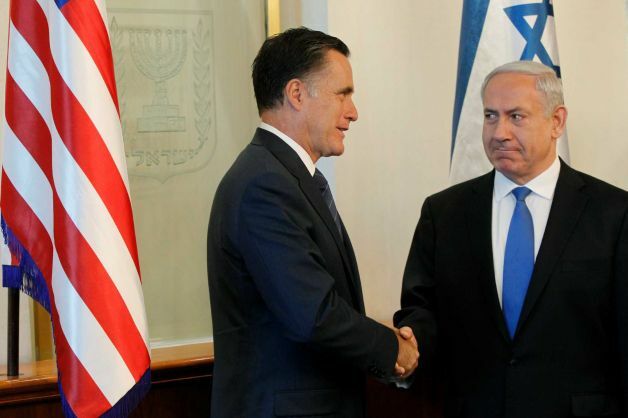 “The only thing Israel wants to talk about is security, security and security,” he said. 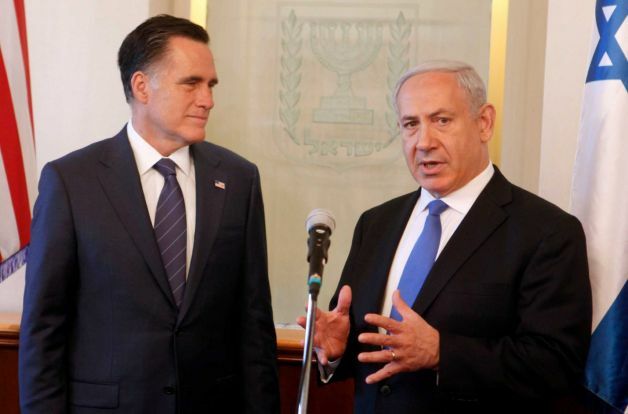 “There isn’t really any chance for negotiations with this current Israeli government. He said that until now, the Palestinians had not received any serious offer from the international community. “All these offers are to stop us from going to New York. They are not really about genuine peace,” he said. In a related development, EU foreign ministers meeting in Poland have urged both Israel and the Palestinians to return to direct peace talks while offering to take a lead role in hammering out a solution acceptable to all sides. Alain Juppe, the French foreign minister, said on Sunday the Palestinian proposal, to be formally detailed in the coming days by Abbas, could prove a failure for Israel, the Palestinians and the US. Should the Palestinians receive widespread backing “Israel would be isolated”, the Palestinians “would face a poor tomorrow” after losing vital funding, and the US too will “face isolation”, he said. Guido Westerwelle, the German foreign minister, said separately that it was key to “try to influence different parties to act constructively”. Germany opposes the Palestinian initiative. Europe stands divided on the question, with the Czech Republic, Italy and the Netherlands also opposed but Spain pledging to vote in favour. Despite the fast-approaching deadline, Catherine Ashton, the EU foreign policy chief, insisted that a return to the talks table remained a possibility. “We believe that we need to have a negotiated settlement as quickly as possible and that anything that can help that process is good,” she said. UN: Apply Here for Freedom – but.. These and more – prove that the United Nations is simply a puppet in the hands of Super Powers to be manipulated at will! Those seeking freedom will only get their freedom if the Superpowers “approve” their application!!! 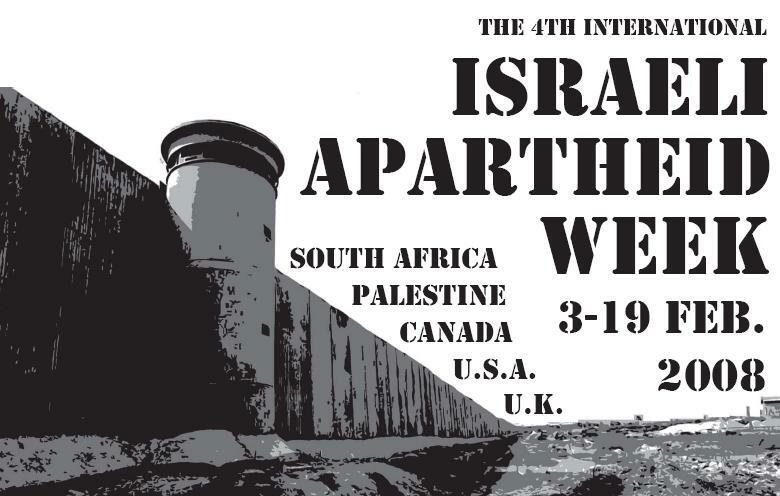 Yet as Israel continues its Apartheid practice, ethnic cleansing policies, building more illegal settlements on Palestinian lands, torturing Palestinian prisoners of all ages, Clooney and the U.N. choose silence! And the terrorist state of Israel and its actions against Palestinians, more horrific than the Holocaust itself, are simply “regrettable” actions…or excusable or whatever terminology that spins the ugly truth into something less negative-sounding! In other words, Palestinians must be disbanded more and reduced to tribes like the Indian “nations” that remain in the U.S. So when will the UN ever find Israel guilty of any crime? Otherwise, the oppressed will continue to fight back for their freedom. And sooner or later, the oppressed and occupied win. History has just slapped the Universe with such evidence: Libya, Tunisia and Egypt have been liberated! Kudos to Turkey and its expulsion of the Israeli diplomats terrorists from Turkey! The demise of Israel is coming soon… the previews are almost over!!! Greece: Financially and Morally Bankrupt! Greece has a chance to settle its moral debt by reversing its decision, and if it does, who knows, that might just be the invitation some were waiting for to help it in settling its economic balance. Israel’s willingness to kill indiscriminately is not new; what is astonishing, is the morally bankrupt alliance between Greece and Israel. Greece stands to gain nothing from joining the “lets bend over backwards for Israel and be complicit in occupation and killing” club. Israel does not invest economically abroad, it does not give out loans to countries, and it’s not like it’s top of the “most popular country” charts at the moment either. Even domestically, the vast majority of Greeks are sympathetic with the Palestinian struggle for liberation. 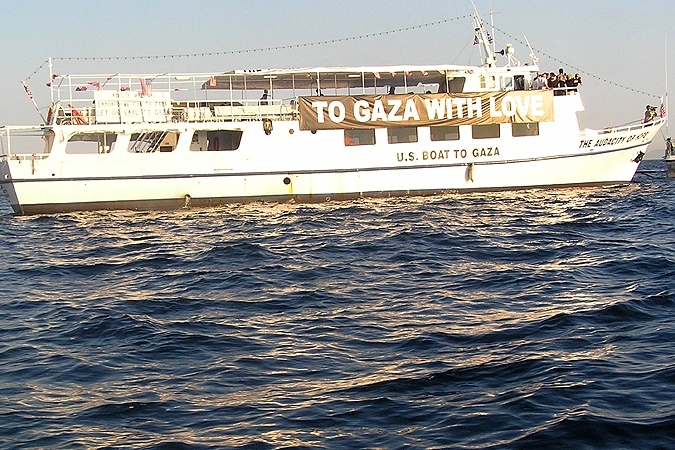 In 2010, when there were also national workers’ strikes, Greek labourers suspended picket lines to load aid onto the first Freedom Flotilla in a gesture of solidarity with their Palestinian comrades – many of whom are on involuntary strike because of Israel’s siege and the massive unemployment it has caused. Possibly the only thing Greece has to gain from this decision is to spite neighbouring Turkey. But even if that is the motive, it’s a very short sighted and politically immature one at best. Turkey is a greater regional and international power than Greece will ever be. Israel will never abandon its attempts at trying to warm relations with Ankara, because of economic and geopolitical reasons as well as Turkey’s massive strategic importance. Greece’s attempts to score points with Israel is like the rebound girl after a man gets divorced by the much more beautiful and successful wife who’s realised she could have always done better than him and never wants to see him again. The rebound girl doesn’t realise she’s being used, and when she does it’s too late. 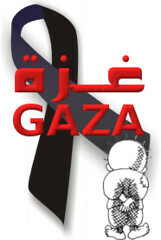 Gaza’s 1.6 million inhabitants have been living under an economic blockade by the terrorist state of Israel. Why does everyone remain blind to the obvious? When you’re asking the wrong question, you never get the right answer. The question is not “who and what is Al-Qaida?” The question is — who hired them. If you live long enough, you see the same stories, generation after generation — credit manipulation causes depression and starvation, followed by war and weapons based economic recovery; the names may change but the situations and scams do not, from the French Revolution forward to today. Who is responsible for all this confusion? All they talk about is peace. And all we get is war. Is this the human paradigm? Is that why nothing ever gets fixed in the world? Yes, it’s because the real questions are never asked. The real criminals are never identified. Why are they never identified? Because the real criminals own the media. Every story you ever read is what good guys they are, and not about what colossal crimes they have committed. The same is so very true about Americans, who believe they are benevolent heroes, when in reality they have accounted for more unjust murders of innocent people than any other country in history. All in the name of freedom and democracy. How did this happen? The answer is simple. You know what it is. The people we have been taught not to mention in polite company control every aspect of our lives, and if we mention them in a derogatory way, our lives are then destroyed . . . economically, socially, and in other ways that are worse. Even the best reporters on the Internet maintain the fiction that it is countries which actually run the world, when for at least the last hundred years those really in charge have been the international money lenders, who have owned and ruled every king and president who has reigned during this period. But this is not reported on, not even by our best reporters, who either know what they have to do to keep their jobs, or they lose their jobs. I can phrase this question in an even more vivid way. Name me one company, one industry, one profession . . . that is not owned outright or totally manipulated from behind the scenes by Jews? The Catholic church joined the club hundreds of years ago when it let the Rothschilds manage their money. Dupont? Monsanto? Bill Gates? Larry Page? All Jews. Ezra Pound’s words resonate louder than ever. Anybody who still draws a paycheck from a Jewish source (and that would include the U.S. government, certainly a Jewish source) better realize that by this very act they are no part of any solution, but part of the problem that is well on the way to destroying everything we ever loved or hoped to build. Two things we must remember now in our political thinking. The wrong side won World War II. Three Jewish countries got together to destroy the one country in world history that openly opposed this Jewish financial hammerlock on the world. These false pretext invasions of Iraq, Afghanistan, Libya and a multitude of other countries would not have happened but for the result of World War II. At least they wouldn’t have happened driven by the U.S. military working for Israel. Anyone who calls themselves a Jew subscribes to the philosophy that they have a right — no, a religious duty — to rob and kill or enslave all the non Jews of the world. This is clearly a pathology that is kept secret by the very commercial interests that are ruled by the insanity of this very philosophy. So when some liberal do-gooder with a degree from Jewish-controlled Harvard University tells you she’s acting in your best interests — and this applies to schools, medicine and practically every category there is — you better think again. The vast majority of Internet writers who tiptoe around use of the world “Jew” are actually complicit in the coverup of Jewish control of the world by their play-it-safe don’t-want-to-jeopardize that ad-revenue-stream timidity. “It’s just business,” they chirp, not realizing that each time they fail to call a Jew a Jew, it puts another nail in the collective coffin of humanity, which tries to remain, though comatose, decidedly and happily non Jewish. So the answer to all of the world’s pressing problems — assuming that most of them can be fixed by the proper application of money — are directly hooked into this Jewish problem, which is control of reality from behind the scenes and by sophisticated technological media manipulation that keeps people locked into their trivialities and oblivious to the colossal murder plot now being executed throughout the world by the same families that have been doing essentially the same thing for hundreds of years. And exactly what are they doing? Well, think about what you have left. All that other stuff you used to have, they already took that. Your future earnings? They’ve already taken most of that, not to mention stolen most of the industries from your country that you might have worked for. What they are doing is what they have always done. They’re about to take the rest of what you have, and when they have that, what do you think they’ll do to you? So now you have the answer. BFD. What are you going to do about it? Let them etch it on your tombstone? It’s also very important to mention that this is not the problem of one country, or a few countries. It’s the problem of all countries. The countries who refuse to go along with these demonic world bankers, at least those nations which have not already been obliterated, remain under constant threat of sabotage and destabilization. Always a pack of savage beasts since the Jewish whiskey sellers doused the blankets for the Pequot tribe with smallpox in 1639, Americans have become much better killers since the Jews took over completely, don’t you think? The sabotaging of the U.S. Constitution by allowing the bankers who funded the Revolutionary War to retain control of U.S. currency? Or was it . Inventing the atomic bomb. Oh Fukushima. Putting cancer-viruses in the polio vaccine. Hiding Tesla’s discoveries, a decision which precipitated all of the petroleum wars of the 20th century and changed the course of world history for the far worse. Killing Royal Rife. 100 percent success rate curing cancer with vibrational medicine in the 1930s. Think of the people who have been needlessly robbed and killed by Jewish doctors prescribing radiation and chemotherapy. The World Wars, totally unnecessary. Ruination, prostitution and debauchery of all arts and sciences with the ulterior motive of making Jews superior when they clearly are not, can’t be because of their philosophy. That’s why they buy their Nobel Prizes. 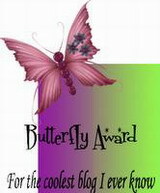 Feel free to write in your own nomination. There is no shortage of evidence. It should eliminate the possibility of you ever asking the wrong question again. This will greatly increase the probability that you will finally, despite massive forces arrayed against you, acquire the correct answer. As the morons and simple minded people continue to be in complete and utter euphoria over what they call “Justice Served,” the facts on the planet do not support the U.S. Administration story and claim that Osam Bin Laden was killed. Obama tried to convince us that we, the American people, “are not like that” meaning that we are not so “barbaric” as to release or show photos of those we kill/ execute. B.S. Consider the following points. You be the judge. When Saddam Hussein of Iraq was executed, the Americans allowed a few Shiite degenerates to watch the execution AND video-tape it. 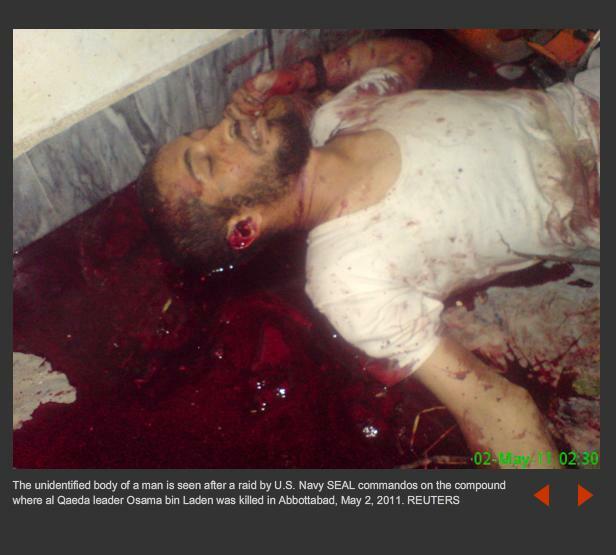 So contrary to Obama’s claim that he did not want to show the photos of the executed Osama are hogwash. We “are [exactly] not like that! When Saddam’s sons (Uday and Qusai) were executed/ killed, their bullet-riddled bodies were also photographed and shared. We are exactly like that! If Osama, as the Administration claimed, was unarmed, then why was he shot dead at such close range? With the Seals securing the compound (took their time collecting computers and papers after the raid), how was Osama a threat? According to the news and released graphics of what had happened, there were at least 3 SEALS in the room with their guns targeting the only two people in the room: Osama and his wife. The SEALS shot the wife in the leg. So they actually felt safe enough not to execute her even when she charged the SEALS. Yet, an unarmed Osama was shot in the chest and head. Why? According to 20/20 on Friday May 6, 2011, the SEALS analysis of Osama’s DNA had “high probability” that it was that of Osama’s. High probability? With the man’s dead body in possession, shouldn’t the “probability” be conclusive? Why was Osama’s body dumped in the ocean? We’ve heard many justification so far: “We don’t want his followers to use his burial place as a shrine” or “we did not want him to be glorified” and such idiotic matters. Interesting: the U.S. Administration is applying Islamic teachings now and are concerned for the well-being of Muslims! The Administration is competing in issuing “fatwa” now. After all, weren’t we told that Osama’s body was washed according to Islamic teachings, wrapped and “prayed upon?” By whom Mr. President? Would anyone of us have the presence of mind seeing bodies and blood and casually focus his camera to take these photos? If these photos were taken (as the report stated) the NEXT day, the blood seems to be fresh and reflective – not blood that is almost a day old. Day old blood would be dark and almost black, would it not? If we believe the official story that these photos were taken by a Pakistani, then there’s a problem with the time on the photos. 2:30 and 2:39. AM or PM? If AM, the official story is immediately refuted and the pictures were taken the same day and right after the raid. The times correspond to the timing of the raid. If PM, then that means they were taken the next day at 2:30 PM. Again, the blood seems too fresh for a day old blood. We’re told that Bin Laden’s wife was shot in the leg. Then she survived. So what happened to her? Finally, why is there a 9 minutes difference between these photos? Would a casual photographer take his time taking photos when no one knew Bin Laden was there? I don’t know about you, but I would probably need a surgical mask to prevent the horrendous smell of such a scene. If I had the presence of mind to spend time taking photos, I would have gone in and out. There would be no 9 minute difference… maybe 3 or 4 maximum! Is our government lying to us? We sound just like Gaddafi and his lies about the events in Libya, or Assad’s lies and claims to the events in Syria. What are the Demoncrats hiding?